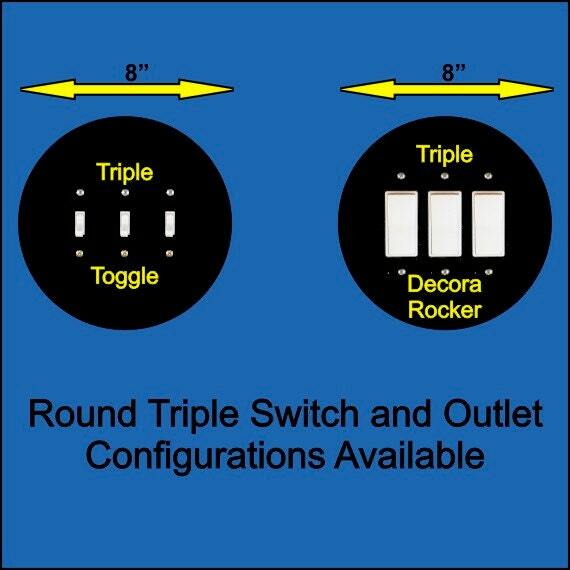 The image on this double toggle switch plate is a high resolution image of a coil of sisal rope. 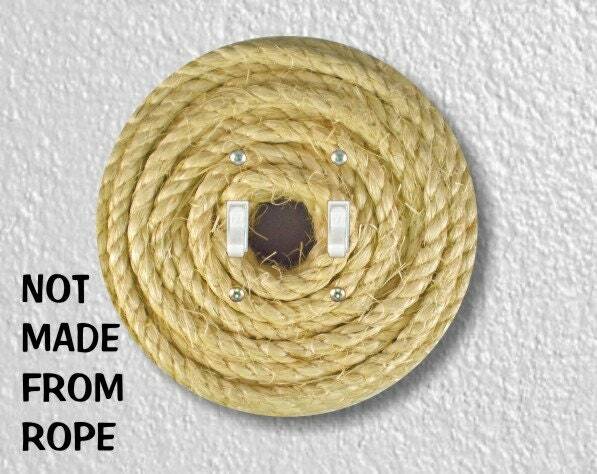 The plate is NOT made from rope. 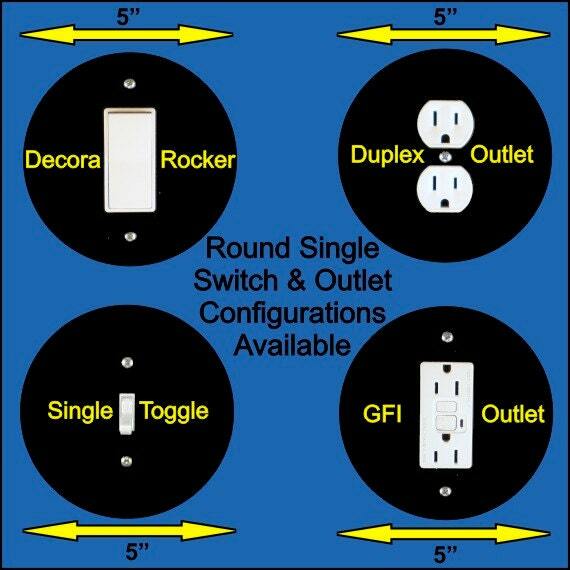 This unique 6 and a half inch diameter round wall plate is made of one eighth of an inch thick durable hardcoated hardboard material (also known as masonite). 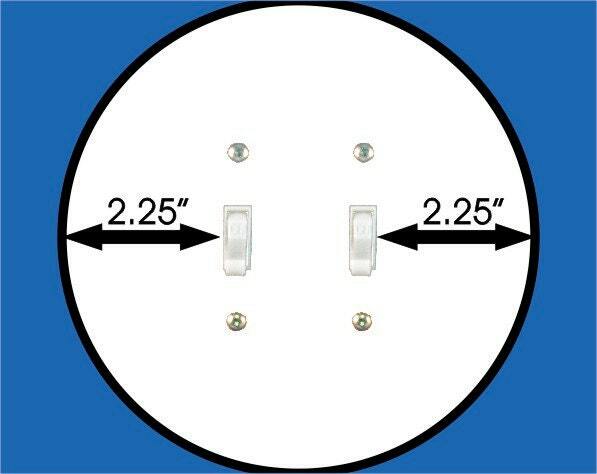 You need 2.25 inch clearance on either side of the switch openings for this plate to fit your wall. 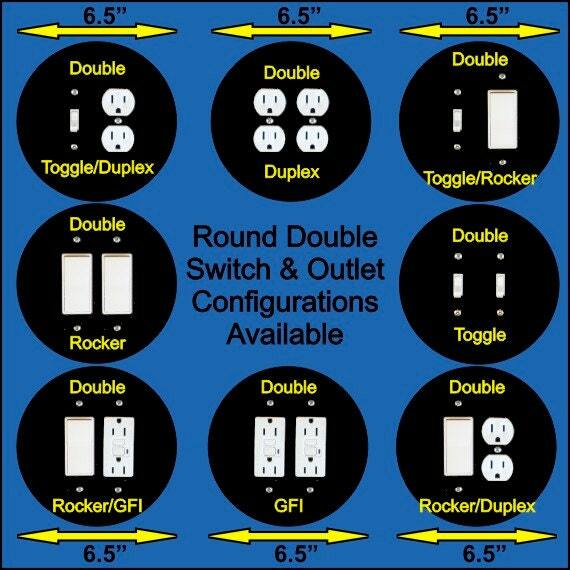 If you need sets please contact us and we will be happy to set up a special listing just for you.